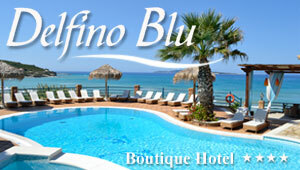 Halikounas Corfu: Halikounas beach is ideally located 25 km southwestern of Corfu town. The sandy beach that stretches for more than 3 km is considered one of the most beautiful coastal areas in the Ionian complex. Halikounas is a nice alternative for peaceful holidays with sand dunes and wonderful crystalline waters which guarantee a fun swimming experience especially for the children. It lacks any kind of tourist facilities thus it almost looks deserted. In case you don't want to be at the centre of attention, there are some nice and isolated spots on either side of the beach for total privacy. Halikounas is ideal for those who love water sports as well. A road separates the beach with the famous Lake Korission, one of the main attractions of the area which is the home for numerous endangered bird species. It is nestled in the midst of green rolling hills where one comes across verdant olive groves, citrus orchards and beautiful vineyards. Many modern amenities are found in a close distance like hotels, restaurants and bars. From Halikounas, you have a perfect view to an ancient monastery perched on the top of Mount Agios Mattheos. The beach is located 5 km from the popular resort of Agios Georgios.